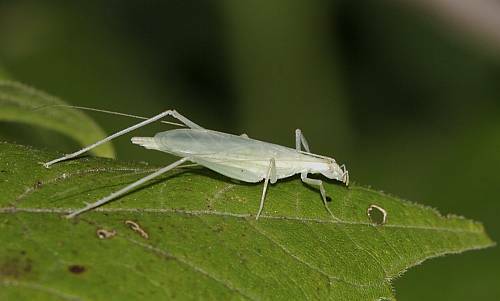 We have a new web page on the grasshoppers, crickets and katydids of Ojibway. The page includes a checklist of local species and many photographs. September is the peak of migration for most song birds. There are many ways to make windows at your home or business more visible to birds, which will help reduce birds from hitting windows. Collisions with windows kill 100 million to a billion birds each year in North America. Visit the Fatal Light Awareness Program website to read about their bird-friendly hints on windows. Saturday, Sept 15: Ojibway's field trip to Point Pelee was rewarded with a superb concentration of Monarch Butterflies at the park's tip. Birds of prey were the most obvious migrants today. Sharp-shinned Hawk, Northern Harrier and Broad-winged Hawk were the most common species seen. At least seven Bald Eagles were noted circling over the tip and visitor centre. Wednesday, Sept 12: Tom Preney saw over 10 Great Spreadwings (Archilestes grandis) at Spring Garden today. The two previous Canadian records of this big damselfly were single individuals, both found at Ojibway, in 2002 and 2006. This morning there were small groups of Broad-winged Hawks kettling over the nature reserve while yesterday about 40 Common Nighthawks were seen flying over the reserve. Saturday, Sept 01: We had an excellent birding trip to Point Pelee National Park today. Eastern Wood-Pewees were everywhere and we also saw Eastern Kingbird, Great-crested Flycatcher, Least Flycatcher, Yellow-bellied Flycatcher and Olive-sided Flycatcher. Other highlights included Merlin, Broad-winged Hawk, Sharp-shinned Hawk, Wild Turkey, both Yellow-billed and Black-billed Cuckoos, Purple Finch, many thrushes, vireos and warblers (80 species in total). A Mink was seen at the tip. We watched him at very close range while he fed on a fish and scampered on the rocks!